Random House Trade Paperbacks, 9780812972351, 448pp. Curtis Sittenfeld won the Seventeen magazine fiction writing contest in 1992, at age sixteen, and The Mississippi Review’s annual fiction contest in 1998. Her writing has appeared in Fast Company, The New York Times, The Washington Post, Salon, and Real Simple, and on public radio’s This American Life. A graduate of Stanford University and the Iowa Writers’ Workshop, she is the recipient of a Michener-Copernicus Society of America Award. 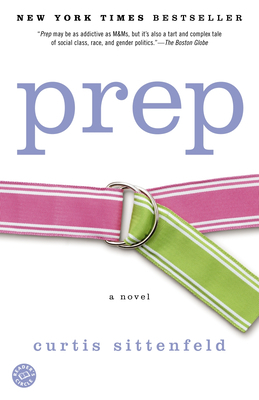 Sittenfeld was the 2002—2003 writer in residence at St. Albans School in Washington, D.C., where she continues to work as a part-time as an English teacher.